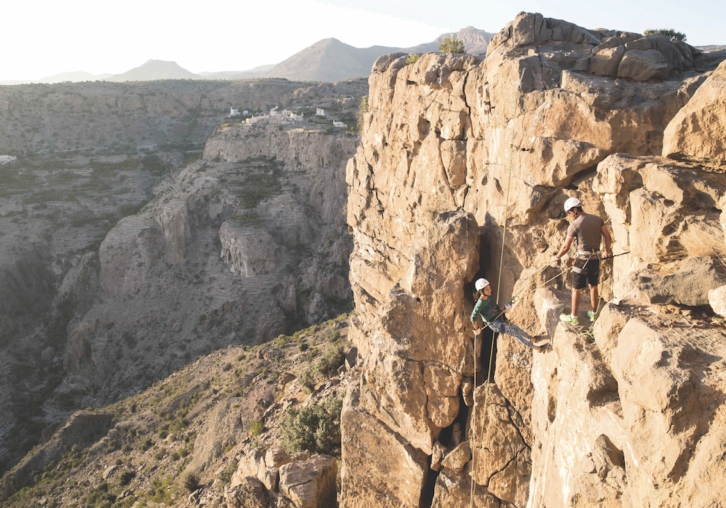 Escape the heat of Muscat and head to the fabled Green Mountain (also known as Al Jabal Al Akhdar, part of the Al Hajar mountain range). It’s almost 9,800 ft high, and the undulating canyons and rock formations in the area make for astonishing views, but the best way to appreciate this unique landscape is by scaling the rock face. With the guidance of friendly experts (who’ll also take those all-important Instagram shots for you), you’ll rapel down sheer drop-offs and work your way along the cliff. Courses for beginners and intermediates let you go at your own pace and, if you’re brave, you can zip line across the canyon. Back at Anantara Al Jabal Al Akhdar, visit the tranquil spa to get your heart rate back to normal. One of the world’s most famous railway journeys, the Trans-Siberian Railway, traverses Russia, traveling over the Urals, across the endless steppe and next to the shore of the world’s largest freshwater lake. It’s by far the best way to see Russia’s vast (and rarely visited) interior landscape, and at nearly 6,000 miles long, it’s the longest single-service railway in the world. Board the Golden Eagle to travel for two weeks through eight different time zones and experience the wonder of Russia. The itinerary heads away from the main Trans-Siberian line, instead going along Lake Baikal to head into Mongolia’s capital, Ulaanbaatar. The journey begins in Moscow and, throughout the 6,500 miles covered, you’ll see Kazan, Yekaterinburg, Novosibirsk, Irkutsk, Lake Baikal, Ulan-Ude, Ulaanbaatar, Khabarovsk and Vladivostok. At each destination there’s a memorable and unique experience, from a private concert of Russia’s most famous opera singers in Kazan and a private cooking lesson with a local Russian chef in Irkutsk to a stop at Lake Baikal, the world’s deepest lake, for a refreshing jump into the ice-cold waters (for the brave), followed by a warming BBQ on the shore. Book the Imperial Suite for its charming old-world luxury, and enjoy afternoon tea on board and a gala caviar dinner in the magical dining carriage, then head to the bar lounge for live music from the resident pianist. The amenities are excellent, too: An on-board doctor, Russian lessons and history lectures are available. Blue zones are locations where people tend to live far longer than average due to their healthy lifestyles — many people in these communities reach 100 years old. The world’s Blue Zones are Okinawa Island in Japan, Sardinia in Italy, Costa Rica’s Nicoya Peninsula and Loma Linda in California. In a four-week itinerary from luxury travel specialists Blue Marble Private, you’ll visit each of these destinations. An expert who has spent over a decade researching these communities and their lifestyles will host this exploration, and with their guidance you’ll delve into the cultures and gain firsthand insight — and maybe learn the secrets to a long and happy life. 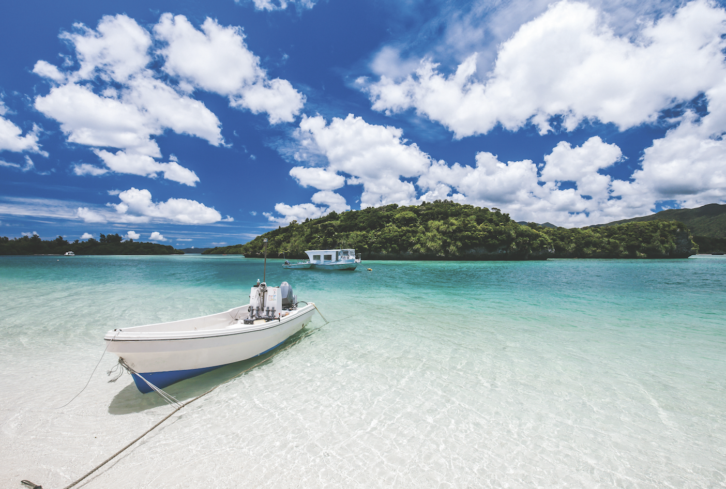 Accommodations include Hoshinoya in Okinawa; Petra Segreta in Sardinia; Four Seasons Papagayo at Nicoya Peninsula; and Korakia Pensione in sunny California. In a continent as vast, diverse and beautiful as Africa, you’re going to want to explore as much as possible. The only way to see the highlights is via private jet, and tour operator TCS has just the thing. Taking off from Athens on December 30, you’ll fly on a Boeing 757 to Rwanda. You’ll then embark on a scenic drive to Volcanoes National Park where, under the guidance of a naturalist expert, you’ll get to know a family of gorillas before retreating to the beautiful and conservation-conscious Bisate Lodge. You’ll then soar to Cape Town for three nights, where you can curate your own itinerary — we recommend visiting Table Mountain and shopping on V&A Waterfront. Next, it’s on to Namibia to explore the vast desert on foot or quad bike, or by air, then to Botswana for big game spotting. You’ll also visit the tumbling Victoria Falls (turn to p86 for a high-adrenaline option), and fly to Madagascar and Kenya. 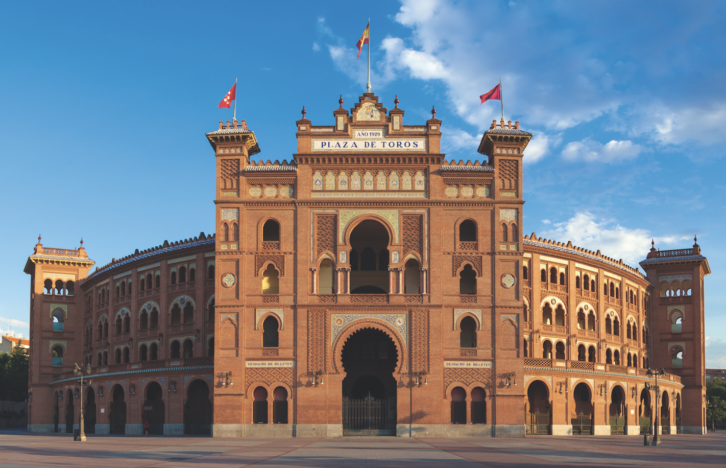 This year is the 120th anniversary of Ernest Hemingway’s birth, and this new tour in Madrid studies the people and places that inspired the legendary writer. He returned to the city many times throughout his life, and it is the setting for a number of his novels and short stories including The Capital of the World, The Sun Also Rises and Death in the Afternoon. Accompanied by a local Hemingway aficionado, discover the stories behind his most infamous haunts, including Cervecería Alemana, a German beerhouse that has remained nearly unchanged since he frequented it; Hemingway’s barbershop (where, incredibly, his original barber still works); Sobrino de Botín, the oldest restaurant in the world, which charmed not only Hemingway but also the characters in his novels; and Casa Salvador, practically a time machine to 1950s Madrid and a Hemingway favorite thanks to its oxtail stew. End in the Museo Chicote bar to meet the son of one of the writer’s oldest friends, Daily Telegraph correspondent Henry Buckley, and hear tales of what it was like to grow up with Hemingway as a regular houseguest. Astrotourism is a rapidly growing trend (tour operator Scott Dunn’s bookings for astrotourism have tripled over the last four years). And as scientists have predicted that those living in cities will no longer be able to see the stars at night due to light pollution by 2025, we can see why it’s so popular. On July 2, there will be a total solar eclipse and to fully appreciate it, you need to head to a Dark Sky location. 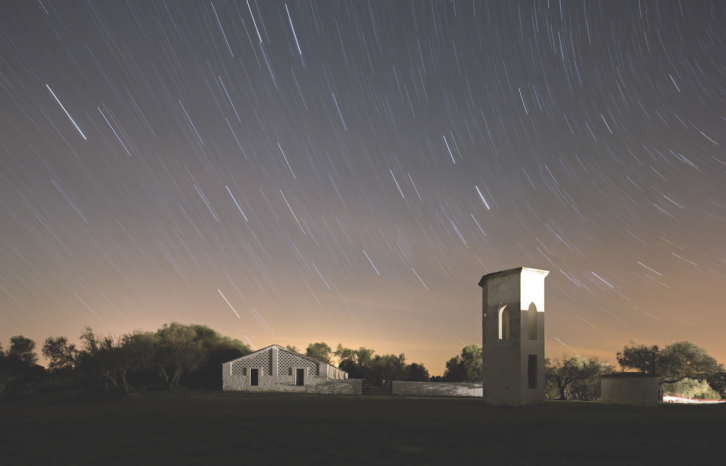 Just two hours from Lisbon, rural Alentejo is home to the Lake Alqueva Observatory, where you’ll find the Dark Sky Alqueva Reserve — the first astrotourism destination in the world. It is a protected area with perfect atmospheric conditions and no light pollution, so you can be sure of a bewitching view. The reserve has state-of-the-art telescopes to get a closer look at the stars and planets, and the resident experts will share information about the galaxy. Stay in the nearby São Lourenço do Barrocal, a charming, 200-year-old country estate surrounded by two acres of wheat fields, olive groves, wildflowers and vineyards. If the infamous history of Mary, Queen of Scots has always fascinated you (perhaps even more so since the release of the eponymous movie starring Saoirse Ronan and Margot Robbie), then Gleneagles in Scotland has just the thing. Delve into the past of this controversial royal as the estate’s expert guide, Iris Marhencke, takes you on a private tour of Linlithgow Palace, where Mary was born, and Stirling Castle, where she was crowned Queen of Scotland in 1542. En route to Stirling Castle in a Rolls-Royce, you’ll stop off at poignant sites such as The Church of the Holy Rude, where Queen Mary’s son King James VI of Scotland and England was crowned in 1567. You’ll also visit Drummond Castle, where Mary spent her honeymoon with third husband James Hepburn, the fourth Earl of Bothwell (the manicured gardens are exceptional) and The Palace of Holyroodhouse, where Mary lived from 1561 to 1567. Back at Gleneagles, we recommend staying in the Royal Lochnagar Suite, an Elite Traveler favorite. The Congo might not be the first location you think of when considering gorilla trekking (most head to Uganda or Rwanda), but western lowland gorillas can be found in the Republic. According to the founder of The Explorations Company, Nicola Shepherd, the Congo is one of the best places in the world to have a primate experience, and Odzala-Kokoua National Park is the ideal place to see them. The Explorations Company can curate your ideal itinerary. Shepherd works with The Congo Conservation Company (CCC), part of the Sabine Plattner African Charities (SPAC); both are committed to protecting the wildlife and its habitat in the Congo Basin, as well as providing for the local communities. SPAC supports a long-term gorilla conservation and research program, so you can be sure that your exploration is supporting these elusive creatures. Stay at Lango Camp for spectacular views and delicious food. As of late 2018, giraffes sadly joined the list of endangered animals facing extinction, and they are often overlooked in conservation efforts. Velocity Black, a members’ club and digital concierge service, offers a 12-day itinerary where you can assist in safeguarding the future of these gentle giants. Namibia is one of the only countries in the world where the giraffe population is actually increasing, and it’s here that you’ll help attach GPS collars to the giraffes. You’ll learn from wildlife specialists while enjoying the comfort of the lodges (including Erongo Wilderness Lodge and Villa Violet) throughout the safari, and head out on game drives as well as learn from the locals about the geology, botany and time-honored traditions of the area. You’ll work with Dr Julian Fennessy, TV personality and conservationist Hayden Turner, and the Giraffe Conservation Foundation to ensure Namibia continues to lead the way in increasing giraffe populations. Combining wellness with charity, Niquesa Travel’s Sensory Reawakening trip begins before you’ve even stepped foot on the jet. Meet with expert nutritionist Sarah Macklin, who will share expert advice on how to eat and live well, and how to optimize health when you travel. You will have a series of follow-up consultations over the telephone during your trip, or Macklin can accompany you if you wish. Then embark on a journey through India where, over the course of 14 nights, you’ll partake in yoga and meditation; join a sacred aarti ceremony at a Hindu temple in Delhi; cycle through the streets of Jaipur; visit the Taj Mahal at sunrise; have afternoon tea at a Maharaja’s palace in Jodhpur; discover the intricate marble carvings at the Ranakpur temples; and board an antique barge for a sunset cruise on Lake Pichola. Rest your head in the most opulent palaces, from Taj Lake Palace to The Oberoi Amarvilas. While this itinerary certainly caters to all your well-being needs in complete luxury, there’s no greater sense of contentment than helping those less fortunate. The percentage of the population living in poverty in Delhi has seen a decline in recent years, yet there are still those in desperate need of assistance. You’ll volunteer with a nonprofit organization and help serve nutritional meals to those in need at a mobile kitchen. If you’ve done all the big safari locations already, Malawi should be next on your list. As a less obvious choice, you can be sure of a unique, tourist-free adventure: There’s untouched grasslands, outstanding national parks and enormous, pristine lakes. This eight-night journey from Black Tomato begins in Majete Wildlife Reserve, where you’ll spend three nights at Mkulumadzi Lodge. The reserve covers Africa’s Great Rift Valley and is home to the Big Five, as well as creatures lurking in the Shire River; go in search of them on game drives and boat safaris. You’ll then head on to Liwonde National Park, where you’ll float down the Shire River past herds of hippopotami. 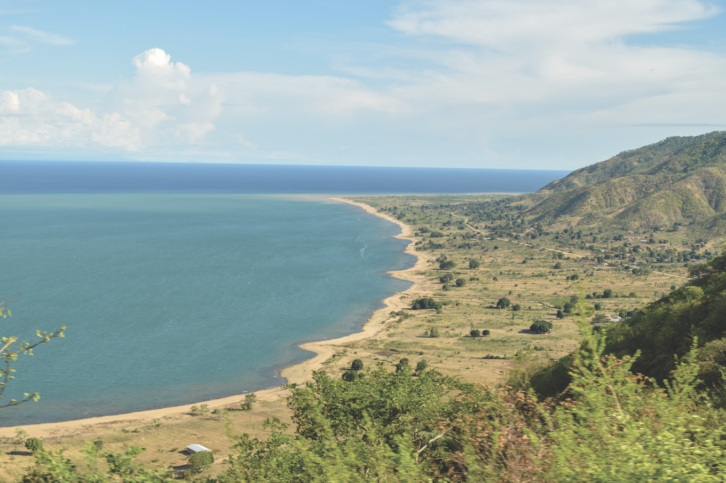 Lake Malawi accounts for a quarter of Malawi’s territory, and this enormous body of water is brimming with dreamy beaches and islands. During your time at the lake, fish for your dinner like a local (it has the most species of fish in a single lake in the world), kayak into the sunset to discover a hidden beach, and dine by the light of the moon. Black Tomato works with various charities and donates a percentage of the trip’s price; It recently concluded a partnership with Charity: Water, a nonprofit organization that bring clean and safe drinking water to developing countries. 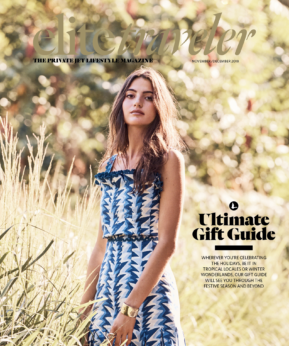 In a partnership between luxury tour operator Blue Marble Private and environmental organization WildAid, you have a choice of two philanthropic journeys. The first sees adventurers getting up close to enormous whale sharks with a swim off the coast of Mexico — glide through the turquoise waters and become acquainted with these magnificent creatures. The second option is a journey through South Africa with WildAid executive director, Peter Knights. Track rhinos and gain insight from the WildAid team on the future of wildlife conservation, and learn more about the company’s environmental projects. In both instances, a large donation is included in the price of the trip to conservation initiatives. As wonderfully luxurious as five-star hotels and all their ultra-comfy amenities are, there’s nothing like using your own survival skills on a deserted island to make you really appreciate the finer things. Docastaway (the only travel company who operates in this rather niche area) specializes in creating your own Chuck Noland-type experience and offers a selection of remote, untouched islands to choose from. There are two options, adventure mode and comfort mode, depending on how stripped-down you want to go, and there’s even a key for how isolated you want to be during the experience. If you opt for adventure mode, expert guides can supervise and assist on the island with you, or will stay on a nearby island in case you need additional provisions. 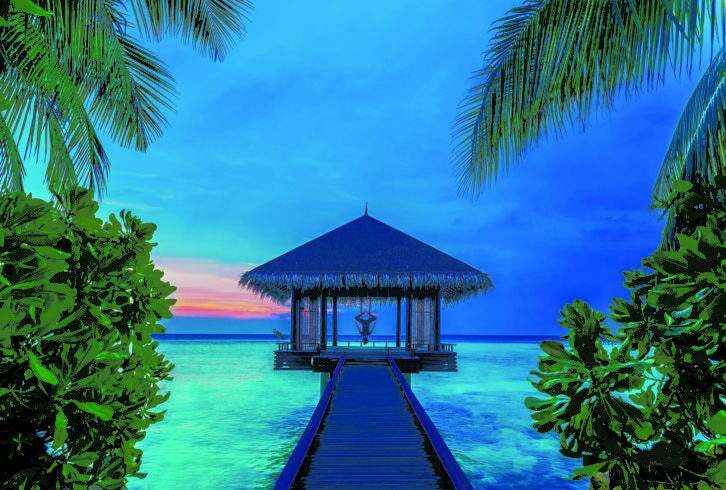 You’ll stay in different shelters (huts or tents) and forage for your own food and drink on a pristine desert island. Extreme adventurers should go for Devil’s Island — a volcanic island is in the middle of the Pacific Ocean, far away from civilization. If the soothing sound of the Indian Ocean waves don’t lull you to sleep, then One&Only Reethi Rah’s new sleep program sure will. The 90-minute Sleep Journey begins with an assessment in one of the sumptuous treatment villas to discover your sleeping patterns, from which a highly trained expert will create a bespoke treatment. You’ll learn breathing and visualization techniques to help relax your mind and release any tension, followed by a massage of the metamorphic zones of the feet and a full-body massage with hot stones and warm oil. The treatment is finished with a scalp massage using warm rose quartz crystals, which help clear the mind. After the treatment (if you’re still awake!) have a yoga session followed by a Bliss Bowl (a delicious combination of nourishing ingredients designed to aid sleep) before retreating to your villa. We recommend the exceptional Grand Sunset Residence with three en-suite bedrooms, private beach and 538-sq-ft pool. Tucked away in the famous rolling hills of Tuscany you’ll find Grotta Giusti, a 19th-century villa that was poet Giuseppe Giusti’s former home. The hotel has a unique offering — a millennial thermal cave (Giusti called it “the eighth wonder of the world”). It is the only spa in the world that has an underground thermal cave and hot spring lake as part of its facilities; the grotto acts as a natural steam room and houses an underground hot spring lake where guests can have floating therapy, or scuba dive to explore what lies beneath. Be sure to try yoga in this most unusual location with a qualified instructor: Thermal yoga is practiced in the natural warmth of this underground labyrinth to amplify movement, aid concentration and raise body temperature. During the session, you’ll benefit from the therapeutic effects of the cave’s thermal vapors as they generate a steam bath that provides effective treatment for respiratory, circulatory, osteomuscular, nervous system and skin complaints. 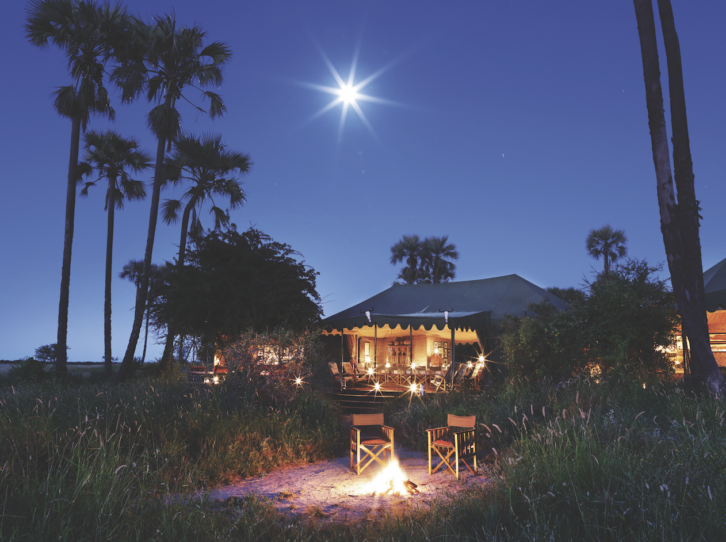 Come nightfall, the landscape of the Makgadikgadi Pans transforms into an otherworldly spectacle where millions of stars glitter in the almost complete blackness. For the best seats in the house, hop on a quad bike from Jack’s Camp and spend the night at the surreal, dry-granite-rock Kubu Island. An indulgent, three-course dinner will be prepared for you, and you’ll savor it — accompanied by your choice of tipple in crystal glasses — by the light of the moon. A bed draped in the finest Egyptian cotton awaits for your alfresco sleepover under the stars. The following morning, head back to Jack’s Camp — a hidden gem that was set up by legendary African explorer Jack Bousfield. It is one of two permanent camps in the Makgadikgadi and has its own museum with curious artifacts. Keep your eyes peeled for the family of habituated meerkats that hangs out close to the camp. 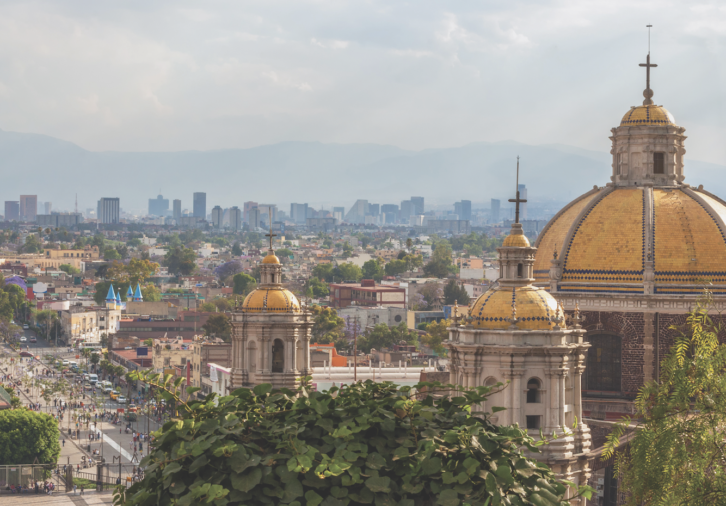 Mexico City is vibrant and lively, but also a densely populated place. Escape the crowds and visit two of the city’s most famous tourist spots — except you’ll visit without the tourists. In an exclusive After Hours experience with luxury tour operator Scott Dunn, you’ll have exclusive access to the Museo Frida Kahlo and the Museum of Anthropology, accompanied by a private guide at each location. Explore the exhibitions of Casa Azul, Frida Kahlo’s iconic studio and home, with your guide sharing stories of Kahlo’s tragic yet fascinating life. After the tour, enjoy a three-course candlelit dinner in the casa’s verdant courtyard garden. The Museum of Anthropology has one of the world’s largest collections of pre-Columbian artifacts, and you’ll have the place completely to yourself for your very own Night at the Museum, including a personalized tour with a private guide to introduce the Aztec pieces on display. The Italian Dolomites are breathtaking — quite literally, as a number of the peaks soar to over 10,000 ft high. To see this Unesco World Heritage Site in all its splendor, lace up your sneakers and go trail running through the Pale Mountains. Run Wild Retreats offers experiences all over the world for running enthusiasts, and this seven-day itinerary from July 7 to 13 is led by the company’s founder, Elinor Fish. Every run will be completely different as you explore the parks within the Alta Badia region, and you’ll run the most famous trails — the Alta Via 1 and 2. As this is a more challenging retreat, it’s best suited to those with prior trail-running experience. You’ll also gain insight into your running posture and technique with natural running form clinics to improve your overall efficiency, as well as wellness workshops. You’ll stay in the Dolomites’ most luxurious spas to relax and recuperate after a day pounding the trails. There is nowhere on Earth more soul-soothing than the Himalayas, with soaring, snowcapped mountain peaks and never-ending hills. Step off the beaten path and spend seven days hiking through the hills, rafting the rivers and marveling at monasteries of the Indus Valley. You’ll stay at a different Shatki Himalaya Village House each night before arriving at Tso Moriri (Lake Moriri) to disappear even further off the grid — it is the largest of India’s high-altitude lakes, fed with crystal-clear water by local springs and snowmelt from the lofty Himalayan peaks; the lake is a sacred place of calm for many Ladakhi people. Meet the nomadic tribes who use the lake for water and listen to stories of their culture and history as you camp here for two nights with a Shakti host. Throughout the journey, you’ll be accompanied by an English-speaking guide, private chef, support guide and porters, and a car is at your disposal. Located between Greenland and mainland Canada, Baffin Island is a wild, dramatic expanse of land that despite being the fifth-largest island in the world, has a population of only 11,000. In winter, fluffy snow blankets the jagged mountains and the lakes freeze over; it’s a wonderland for off-the-beaten-track skiers. Cookson Adventures has partnered with Weber Arctic, a family-led exploration company, to create a six-day trip: Venture out into the wild via helicopter and snowcat to carve through untouched powder. You can even name a ski line after yourself on these unchartered slopes, should you wish to leave your mark. Face some of the world’s highest vertical cliffs and longest couloirs. Accommodations are equally out-of-the-ordinary — a collection of Pacific dome tents that are cozy and snug inside but resemble spaceships from the outside. Experience the rich culture of the native Inuit people: Clyde River maintains some of the oldest traditions of any Inuit community. The residents live in harmony with nature (including the polar bears that roam through local fjords). 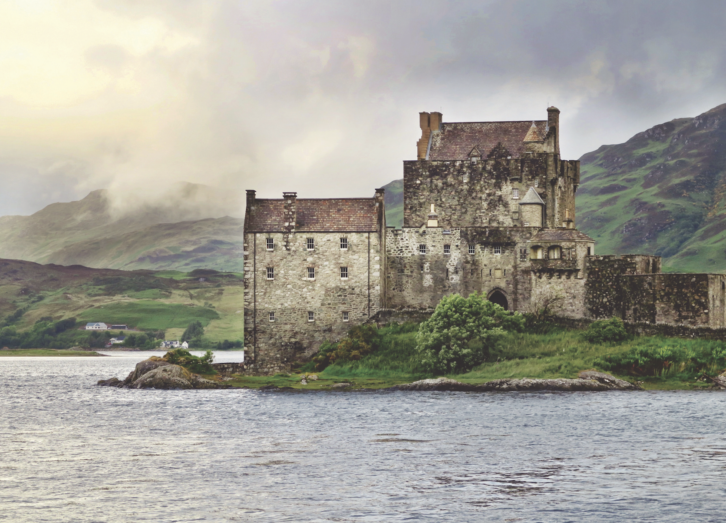 Scotland is a startlingly beautiful country — full of historic relics, otherworldly landscapes, wildlife and the friendliest locals. Explore the West Coast and the Hebrides for a unique adventure. You’ll visit the isles of Mull, Skye and Uist and see jagged peaks, sleepy fishing villages and wild terrain. Spend a night on a private island and unleash your inner Bear Grylls as you forage and cook what you find — or dine out on oysters if you aren’t sure of your foraging skills. You’ll also have a whisky lesson from a master distiller (no trip to Scotland is complete without a dram or two), and fly fish for Atlantic salmon. The best time to visit is between May and September. The bustling city might not spring to mind when you’re thinking of an escape to the wilderness, but don’t overlook Hong Kong — its verdant national parks make up 70 percent of the land. The flagship Mandarin Oriental is situated in the heart of the city, but you can reach and enjoy the remote islands, deserted sandy beaches, nature parks and mountain paths in no time. Accompanied by an expert guide, take an eight-hour hike through the rural Sai Kung Peninsula and explore challenging mountain paths and secluded beaches. If you’re more of a water baby, kayak through the Sai Kung Country Park with a guide and search for uninhabited islands and yet-to-be-discovered beaches. If you want to explore in a more traditional way, board a modern Chinese junk boat and head to Lamma Island: it is best known for its traditional fishing villages and relaxed seafood restaurants. Uncover the fascinating history and unique culture of Vietnam from those who know it best. Hop on a Vespa and wind through the beautiful Khanh Hoa province to visit the villages, homes and workshops of the supremely talented local artists — an experience that is ordinarily off-limits to tourists. You’ll gain behind-the-scenes insight as you meet with each artist. Enjoy a glass of wine with them while you learn about their experiences and how life in Vietnam has influenced their work. 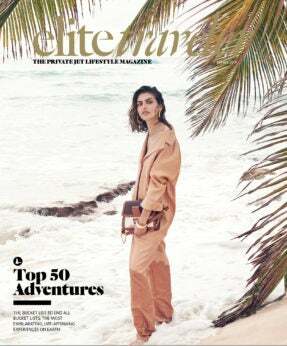 The Anam, a five-star beach resort, has a carefully selected list of the area’s top painters, sculptors and photographers to choose from (including Mai Loc of National Geographic fame). If you spot a piece that catches your eye, you can purchase it to take home as a memento of your experience. Home to ancient Incan cities, thick Amazonian rain forest, Machu Picchu, Lake Titicaca and the Andes, Peru is an enchanting place that everyone should visit in their lifetime. The gourmet offerings are as incredible as the must-see sights, and on a 12-day trip with Niquesa Travel, you’ll experience it all. Beginning in Lima, head on a private tour of the Surquillo Market and Lima’s historic sites; learn how to master ceviche, tiradito and leche de tigre with top chef Pedro Miguel Schiaffino, and create your own jewelry under the guidance of designer Ester Ventura. Fly on to the Sacred Valley of the Incas to see the ruins of Sacsayhuaman before indulging in a seven-course tasting menu at Hacienda Sarapampa. Hike through the Maras Pampas salt pans and recharge with an open-air feast at Wayra Ranch, then have a kayaking lesson on Huaypo lagoon 11,500 ft above sea level. 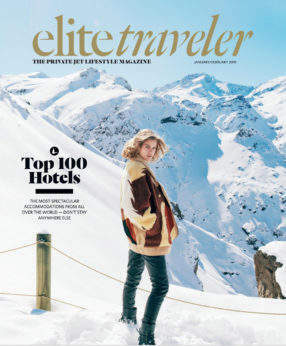 Later in the trip, you’ll board the luxury sleeper train, Belmond Andean Explorer, and stop off to watch the sun rise over Lake Titicaca; explore the floating Uros Islands; and investigate the ancient Sumbay Caves. The journey ends on a sweet note as, following a walking tour of Arequipa with a private guide, you’ll have a tasting-and-making session at the famous Chaqcaho Chocolates workshop before flying home. 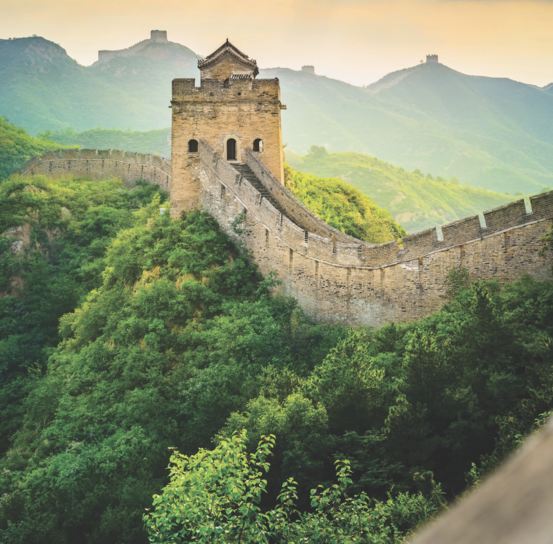 On this 11-night itinerary, you’ll tick off the major sights and experiences China has to offer. Beginning in the bustling city of Beijing, you’ll spend three nights at The Peninsula Beijing, where you’ll have a tai chi class taught by a master instructor at the classical Ming Period Temple of Heaven. Then explore one of the Seven Wonders of the World: Climb or take a cable car to the top of the well-preserved Mutianyu section of the Great Wall to enjoy views of the surrounding mountains. Fly by private charter to ancient Xi’an to explore the excavation site of the Terracotta Army’s warriors and horses, accompanied by an on-site archaeologist. Head to Shanghai for a guided walking tour of the famous Bund and visit the Shanghai Museum with a curator. For the last few days, travel to Guilin to observe the rural, traditional life by boarding a bamboo raft for a cruise along the Li River. Finally, you’ll jet to Hong Kong for a farewell dinner and a night at The Peninsula Hong Kong before flying home. The Baja California desert covers almost 32 million acres. Past the sand dunes, there are exquisitely serene views of the Sea of Cortez and the Pacific Ocean. The best way to discover as much of this picturesque landscape as you can is via an all-terrain ATV (or Baja buggy, if you will). Venture into the depths of the desert to explore its natural, otherworldly beauty as you race around with the wind in your hair. After all that exhilaration, be sure to book the Ty Warner Mansion back at Las Ventanas al Paraíso for an in-suite massage in the mansion’s private massage pavilion. As the world’s largest cave system, Hang Son Doong can easily fit a Boeing 747 jet into its huge underground halls, and it even has its very own weather system. 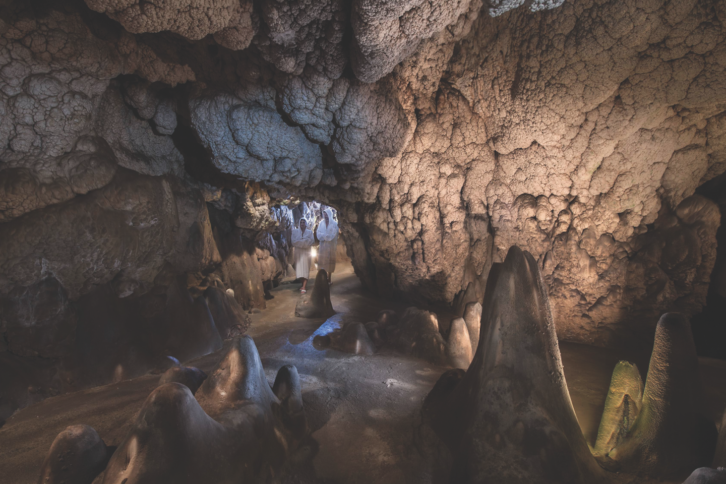 The cave is millions of years old, created by the mighty Rao Thuong River as it eroded the limestone, forming this enormous tunnel beneath the Annamite Mountains. Of course, a terrain of this caliber can be extremely challenging, but with this trip from Cookson Adventures, you’ll have expert guides on hand as you trek through this extraordinary natural phenomenon, as well as a photographer to capture the experience. Aboveground, you’ll visit the world’s largest temple, Angkor Wat; fly into the serene Ha Long Bay by seaplane; explore the lush jungle in Cambodia (with dinner under the stars); and go paddleboarding and kayaking through the emerald waters.